I'm a fashion entrepreneur based out of Bangalore, India. 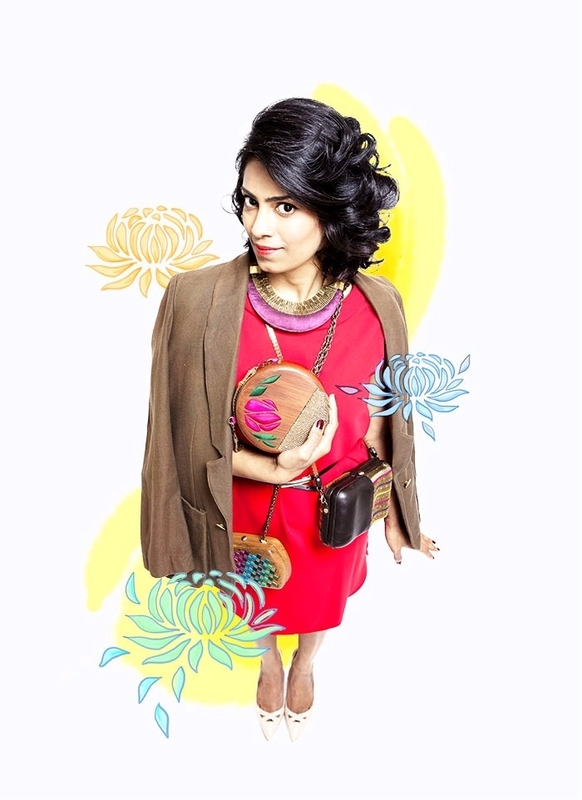 I run a niche accessories brand - Rachana Reddy Accessories. Rachana Reddy Accessories was born out of the creative passion of bringing forth avant-garde fashion accessories, artful concepts & detailing to life.With an emphasis on clean cuts, elegant motifs & fine detailing, my designs strive to blend tradition with contemporary luxury for the versatile woman of today. My clutch line debuted at Lakme Fashion week, SS11 in Mumbai, and Wills India fashion week SS13, Delhi. And in 2013, I was the recipient of the Grazia Young fashion Award 2013' for excellence in Accessories(Bags) design. I'm also the Co-founder of House of Blouse. House of Blouse is an brand/e-store that enables women to custom design and shop for a one-of-a-kind blouse using an incredibly variety of the chicest and trendiest options in a fun, hassle free online space. At Houseofblouse, we believe that every woman has a bit of designer in her and given easy tools and inspiration would create and own her signature style garment. HouseofBlouse also offers stylish ethnic and fusion pairings such as sarees, skirts, trousers and accessories. When I'm not working away, I love soaking in warm sunshine, cuddling up my fur babies, day dreaming about new travel adventures, resto-bar hopping AND playing mummy to my sweet baby boy!